Ahead of last year’s John Durkan Chase I did some analysis on this race on previous trends, and they said that Don Cossack would win, there was no other possible winner of the race. And so it proved. At first glance at this year’s renewal I thought the obvious winner would be Djakadam, with the fact that he is at least 8lbs clear of everything else in the race. So I have done the same this year and what annoys me is that he doesn’t fit the profile of a previous winner. Whittling it down, the one I am drawn to is Gordon Elliot’s five-year-old Clarcam. Looking back over previous years, you want a runner no older than nine (ruling out Flemenstar and Hidden Cyclone), that finished in the first three last time out (Foxrock was eighth) and had a run within 70 days. The only one left through that method is Gigginstown’s supposed second-string. He was really well backed at Down Royal when he finished second behind Ptit Zig in the Powers Irish Whiskey Chase, so connections obviously think he has plenty to give this term. What was surprising was that the money came for him in that particular race. That contest is Paul Nicholls’ race, he always wins it, having now taken it in six of the last seven years. He will be ready for the race, having had two runs already this season, so fitness is not an issue, and although he might be a bit on the young side, looks decent value to me at 10/1. He’s a dual Grade 1 winner over fences, with both races seeing relatively small fields, and with just seven lining up here, could have conditions to suit. You could oppose Djakadam on the basis that Willie Mullins’ horses aren’t peaking at the moment, with Un De Sceaux not working well at home, Faugheen getting beat in the Morgiana and Vautour not being his usual exuberant self, despite winning. Also you’d have to think, that looking at his Gold Cup performance, that his best runs have come over further and this 2m4f trip might be on the short side. The other main danger could come from another Gigginstown runner in the shape of Valseur Lido who is a dual course and distance winner and will have no problem with the testing ground. But he, like the favourite is yet to have a run this term and fitness must be taken on trust so for that reason I’m siding with Davy Russell’s mount to cause a bit of an upset. 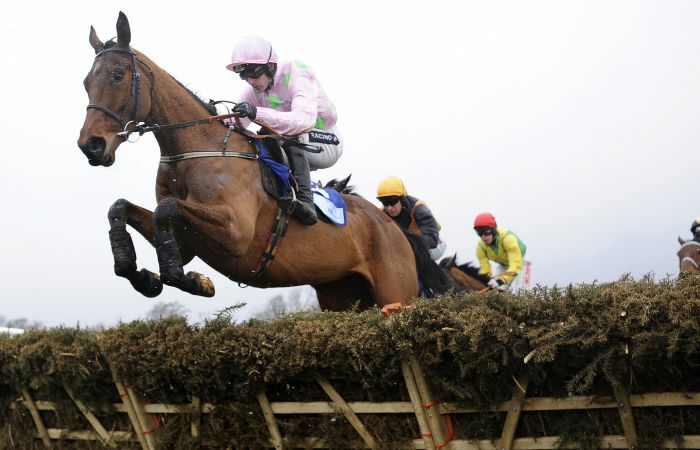 I’ve spoken in previous blogs about how I cannot wait to see Pont Alexandre back on track, and it looks as if the wait will be over at Punchestown on Sunday in the beginners’ chase at 14:25. For me it looks a two-horse race with Willie Mullins’ charge only likely to be troubled by Nickname Exit who only went down a nose at Cork last time out. 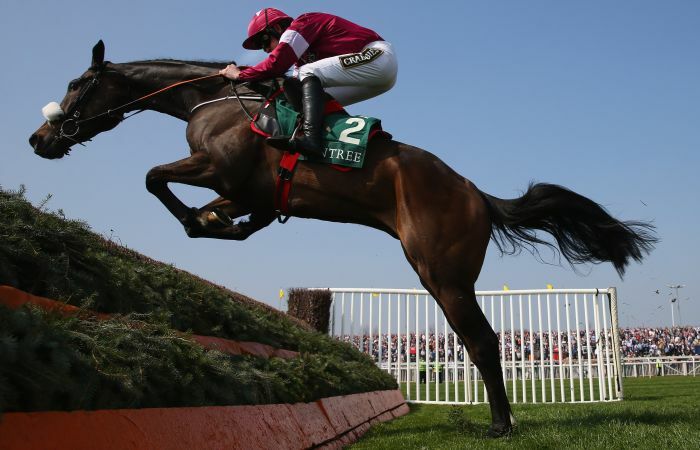 He jumped well that day, and looks as if chasing will be his game, but the hurdles for of Pont Alexandre was in a different stratosphere to his. After arriving at Closutton from France, Rich Ricci’s horse won a Grade 1 by 13 lengths and then a Leopardstown Grade 2 by 11 lengths before being sent off favourite for the Neptune at Cheltenham when finishing third after getting injured. That kind of form should see him hard to beat on chase debut, even after a near-1000 day lay-off. You wouldn’t expect Ruby Walsh to throw the kitchen sink at him at the weekend after such a lengthy break, but if he can jump a fence he’ll take all the beating. Hayley O'Connor is a proud racehorse owner, breeder, self-proclaimed dreamer and PR manager at Ladbrokes. You may have even spotted her riding in the 2015 Charity Race at Cheltenham. Read her exclusive opinions at Ladbrokes News.